When we initially start blogging we may not think about productivity tips and hacks. But as we start getting in depth of blogging then we find that our life has become cluttered. Do you know how to start a bullet journal for productivity? If not then go through it. You can also check the 11 lovely weekly spreads of bullet journaling. 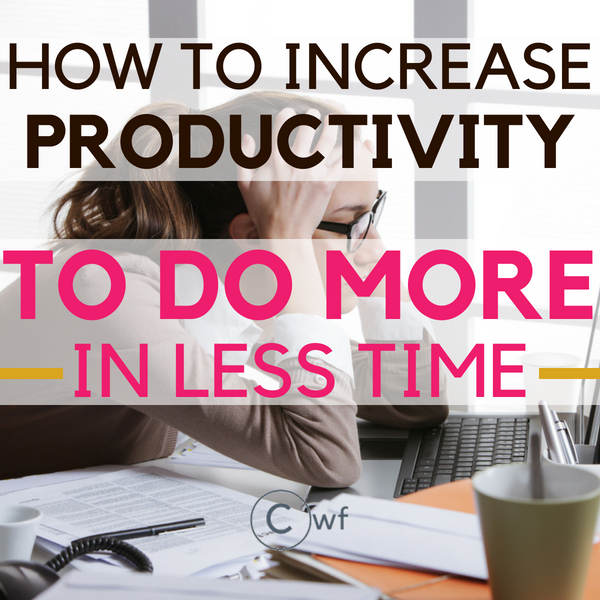 So if you are also starting with work productivity then here are the productive things to do. This practice has helped me so much for productivity improvement. Do you get up in the morning and think about what should I start with? Then this is for You. A productive morning routine is so much necessary. Why not just create a to-do list before you go to sleep each day. No need to schedule the list for the entire day. In fact, that will be such a time waster to think of all the works that need to be done. Just write 4-5 important tasks which you will be starting your day with. Productivity for the day can only be accomplished when you create a to-do list the day before. There are different apps to create a to-do list. You may try Wunderlist (works on Mac & iOS), TickTick, Any.Do. You can also use Gmail. To-do list to write your tasks. Or use a simple copy/dairy & pen like me. There can be numerous work which needs to be prioritized. After your 4- 5 tasks to do list is over then check your priority list. This should consist of the tasks which are highly important. Like reloading your tailwind. Oh, seriously I want to say that when tailwind queue is empty my monthly viewers reach keeps on decreasing. (I do not know why it happens) So even if I am pinning manually I always set my tailwind to at-least 3-4 pins a day. Just to keep it going. You can try tailwind free for a month here. The other important tasks are like jotting down the blog post synopsis, replying to the emails & comments. So it is really a bad habit if you want to work productivity. What about the to-do list you created? First thing as a blogger which you should be focusing on is your to-do list. As a blogger definitely you will be needing FB for your blogging purposes, actively participating in groups or managing your own group. You can keep separate timing for that in the later part of the day. Sometimes afternoons are the best timing to do social media works. (My personal choice). Surely your schedule is going to differ from mine. Well, this can be written in an entirely different blog post for the productivity apps which really really helps. But I just can not ignore this two from mentioning it here. This is not any productivity app. This is actually a very simple timer which I use while surfing social media accounts. Like you know what happens on FB right? Yeah, I keep on surfing all funny or intriguing things or memes. So once you set the timer it pops up with the notification that your time is up. I set it to 15 minutes & then when the notification pops up it’s like a prompt to get back to work. This is a super efficient productivity app. If at the end of the day you feel what the heck was I doing the whole day:-? then this app will let you know the websites you have spent the most time on. This also helps to keep track of the most unproductive hour. So now you can have an account of your un-productivity level 😀 which you can actually make use of to make it productive. You may have ample blog post ideas in a day. Just note it down. Never run out of a minimum of 10 blog post ideas. 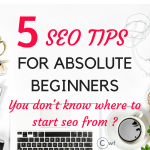 Because you will not be able to use all the ideas while writing a post. Some may require thorough research while others may require some social proof to be added. So 10 is a good number to keep your writing on. Earlier it really used to take me loooong hours to complete a post. For I did not know what are the things I want to include. So sometimes I used to drift away from the topic even. So what I concluded is that you really need to have an abstract of your writing. Means you can just write the headlines and then go deep with each headline included. Well, a live example. Am feeling a little nervous about showing it though :-o. Anyways I just always want to keep it real. So this is my writing abstract. I write the headings first which I want to include. Then as you can see I just go in deep with each topic later. It helps me not to get deviated from my main topic. It also helps a lot in writing the post way faster than I previously used to do. You may choose to write in any way like using distraction-free writing, using a zenwriter or any other. Just be organized while writing a post. Keep your working space neat and clean. 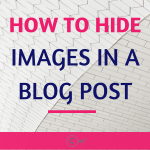 It will help you to focus on creating great blog content. Working from home gives us the luxury of working anytime. But do not work more than 7-8 hours a day. If you are stressing yourself out then your work productivity is going to be affected. Always have a stress free blogging schedule. Check out How to plan the most productive week? 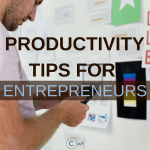 Productivity & Time management is the beginning of an organized & successful blog. My blog was not having any Time Management or any Goal setting. I got to set my goals after I met Scrivs. Scrivs BBC changed my blogging game entirely. This post may contain affiliate links which means I shall receive a commission without you being charged anything extra. I always look to gain new knowledge. It’s the way I like to go when reading webpages. I search it out. I’m especially interested in info related to blogging and posts and general internet process so I am really thankful I found your page. It really was interesting to read. Thank you for that.